File this one under: Say what now? 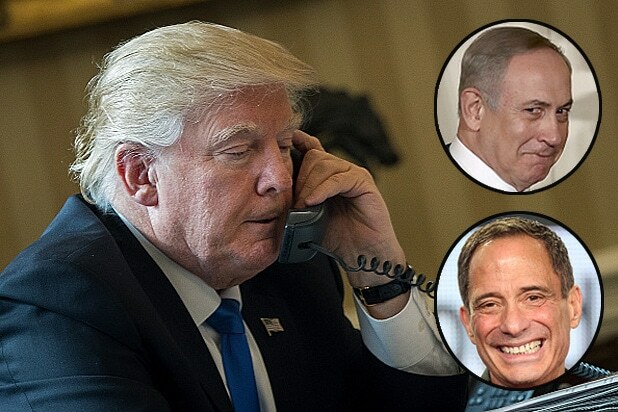 According to ENTITY, President Trump helped set up an interview between the TMZ founder and Israel’s Prime Minister, Benjamin “Bibi” Netanyahu. Trump reportedly obliged, placing the call from the Oval Office to Bibi in Jerusalem. And Bibi, it seems, agreed. Representatives for Levin, Trump and Netanyahu did not immediately respond to TheWrap’s request for comments. But a TMZ insider, who spoke on the condition of anonymity, told TheWrap Levin was on his way to Israel Thursday. Levin, who has become one of Trump’s cheerleader-in-chiefs, met with the president in March to discuss his new TV show and try and recruit major players like Tom Brady for his upcoming season. Editor’s note: The writer of this article was a TMZ producer in 2011.